A compelling psychological thriller of madness and salvation . . .
﻿﻿﻿To the Sacramento art community, Albert Metzer is the handsome, successful owner of a cutting-edge gallery. But Albert has secrets he dare not tell. Beneath the floorboards of his gallery lies a hidden room, which Albert clandestinely converts into his private gallery. He then befriends Jerry, a homeless man suffering from PTSD, and enlists him to help steal thirteen masterpieces, including one that depicts a captivating young man to whom Albert finds himself strangely drawn. As Albert's perfect crime unravels, so does his grasp on reality. The young man from the painting startlingly comes to life, convincing Albert to do his dark bidding. 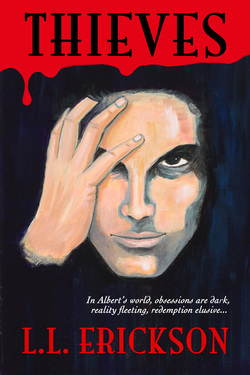 Can Albert's fragile mental state withstand the trauma of a shattered love affair, his growing doubts about Jerry's unreliable brain, the dogged pursuit by a criminal investigator, and most importantly, the malevolent power of the young man from the painting? Gwendolyn Greyson's life is about to change in unimaginable ways. Her beloved father has recently died, and rebel knights threaten her home. Into this confusion rides the dashing Aidan Blakeslee, who informs her that, by order of the king, her land now belongs to him. England is in great turmoil, and the king has gifted Aidan, his most able and trusted knight, with the small estate of Lockshire to root out rebel spies. With their fates joined, Aidan and Gwen will face danger at every turn as past rivalries turn deadly, and Gwen will discover that the true threat Aidan poses is not to her property but to her heart. When Myra Atkins, a life-hardened, aging vamp of a detective, goes missing, her secretary, proper English import Esther Humperstone, enlists Henry, an earnest yet slightly off-center twenty-two-year-old, to help find her beloved boss. 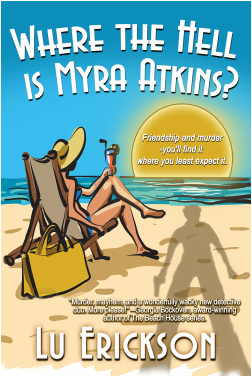 What Henry and Esther don't know is that while they're taking a crash course in private detecting, Myra, caught up in a mid-life melt-down, has actually escaped to Maui with smooth-talker Ray Garnetti for a little sun and romance--and a lot of vodka martinis. The stakes are raised when prominent Sacramento businessman Gordon ﻿Winston, apparently the last person Myra saw before her disappearance, turns up dead. Henry and Esther's quest to find their boss will have them not only rubbing elbows with the city's elite, but with Central California's most feared crime lord. Visit my Facebook author page and Twitter feed by clicking on the icons at right.